I know I am not telling you anything new or shocking when I say that there is a general misconception around DIY fashion of it being for those who are frugal or those who are not really fashionistas. 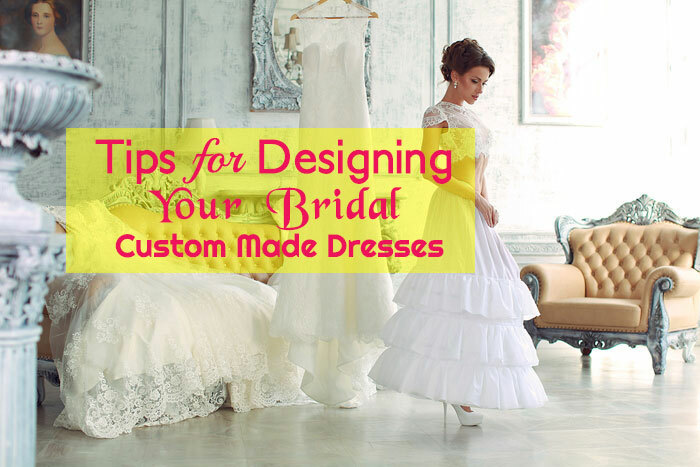 The thing is, if you do a quick browse online and take a look at the DIY fashion community, you will find some seriously amazing ideas that will help you turn something frumpy into an on trend piece. With the cold season being upon us and with piles of knitwear in my closet that have seen better days, I wanted to update my wardrobe without having to throw them away and make space for new pieces. 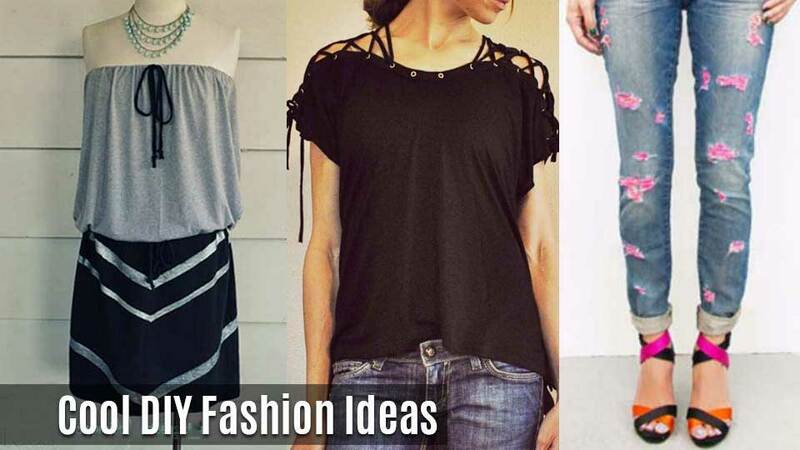 As a newbie of the DIY fashion community, I am amazed by what we can do with old jumpers, jeans and other clothing and so today, I have rounded up 10 of the best ideas I found online, so you too can look fashionably sustainable. Nothing is more irresistible than shorts made out of a soft knit and as a woman who has Aran jumpers that have been worn for many years, this is the perfect way to turn one of them into this feminine piece for those lazy autumn evenings at home. 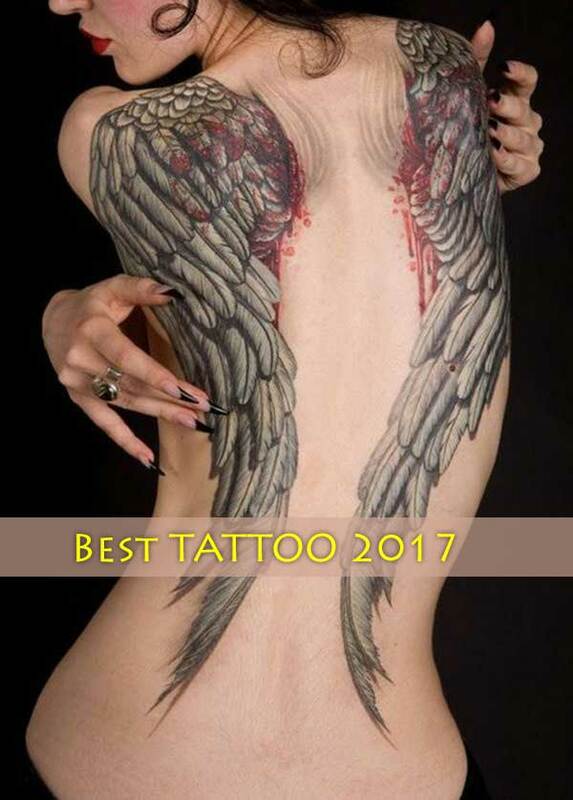 You can get the details on how to make this piece by watching this video. 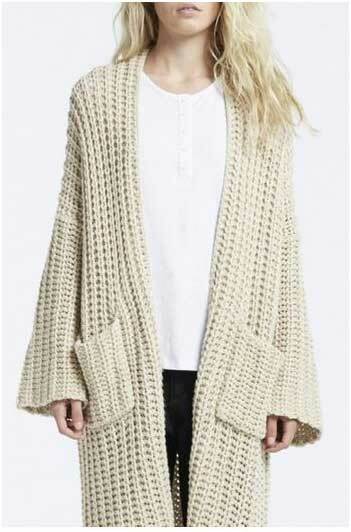 If you have seen the potential in a large jumper forgotten by your man, then turn the piece into a chunky cardigan that you can wear with skinny jeans and a blouse or paired with a midi dress for the office. This one is easy to do, you can get the instructions here. 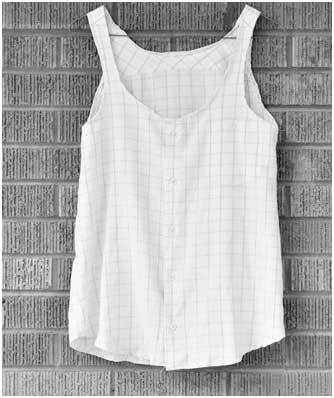 We can all wear our man’s loose fitting shirt at home but with this DIY idea via All Free Sewing, now we can wear that shirt as an elegant tank top to pair with a cardigan or with a blazer for those autumn days when the weather is still keeping warm. 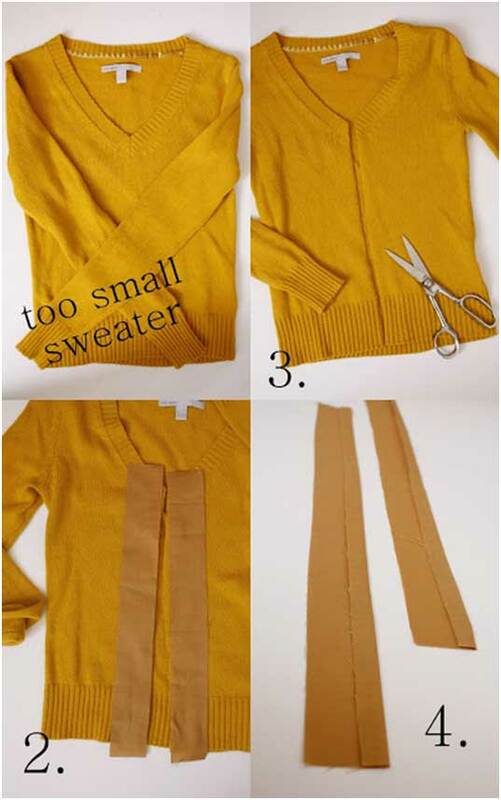 For those times when you find a vintage sweater that fits you tight, you can still invest in the piece and turn it into a well-fitting cardigan instead. Delia from Delia Creates has the details on this one. When you see a fabric that you love on an old shirt or sweater, then you can use the fabric and turn it into a statement skirt to pair with a simple T-shirt or an elegant blouse. Amber from Ruffles and Roses Crafts has some great tips on this idea. From trench coats to gardens, trousers and even dresses, you can update any of your fashion staples by replacing the buttons with new ones. Sweater elbows are always on trend — it is a classic touch you can sport every autumn and winter and with this idea via DIY Ready, now you can look fashionable by reusing an old jumper and adding a touch of sparkle with a small piece of fabric. You can find all the details here. Andrea from Andreas Gardenshows us a great way of repurposing a large man’s shirt into the perfect leggings so we can all rock the athleisure trend without having to spend money. Turning an old pair of jeans into a statement piece is perfectly doable thanks to Kelly Brydenwho gives a guide on how to create this elaborate DIY piece. Snoods are always a good idea — they look chicer than a regular knitted scarf and you can wear them with anything from jeans and a T-shirt to a dress and a leather jacket, and this image via P.S. 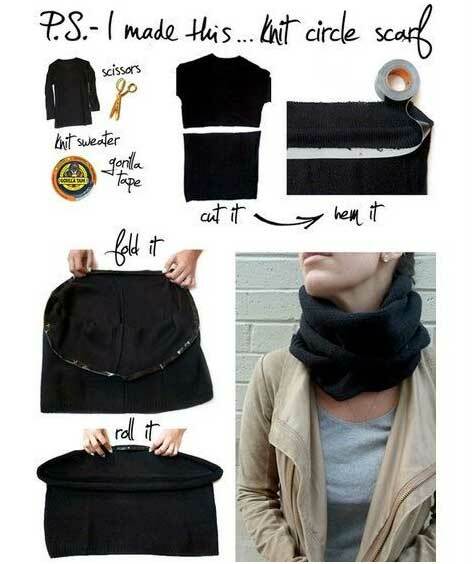 I Made This shows you how to make a snood out of an old sweater.